In order to create habitat for Chinook salmon, Greenbelt Land Trust planted about 30,000 trees and shrubs on a former agricultural field at our Horseshoe Lake conservation area in Albany, OR. But Fish, fish, they live in the Sea, they don’t have any use for a tree! While this abandoned farm field is high and dry all summer long, many fields along the banks of the Willamette River are flooded throughout the winter. This floodplain habitat is crucial to juvenile Chinook salmon that are looking to escape the torrents of the raging river. The forested floodplain also functions as an invertebrate café where small fish gorge themselves on terrestrial bugs that suddenly find themselves floating in floodwater. But before you say, “I don’t like bugs on my face, I don’t like bugs any place”, consider that research from California found that juvenile salmon can literally double in size while briefly prowling flooded forests. We hope that our newly planted forest provides fertile ground for fish in the winter, but also a shady canopy for summer walks along the Willamette. Come join us for a tour this summer and we’ll explore this creation together! N.B. Matt Blakeley-Smith, GLT’s Restoration Manager, has been reading lots of kids books with his two-year-old son, Owen. 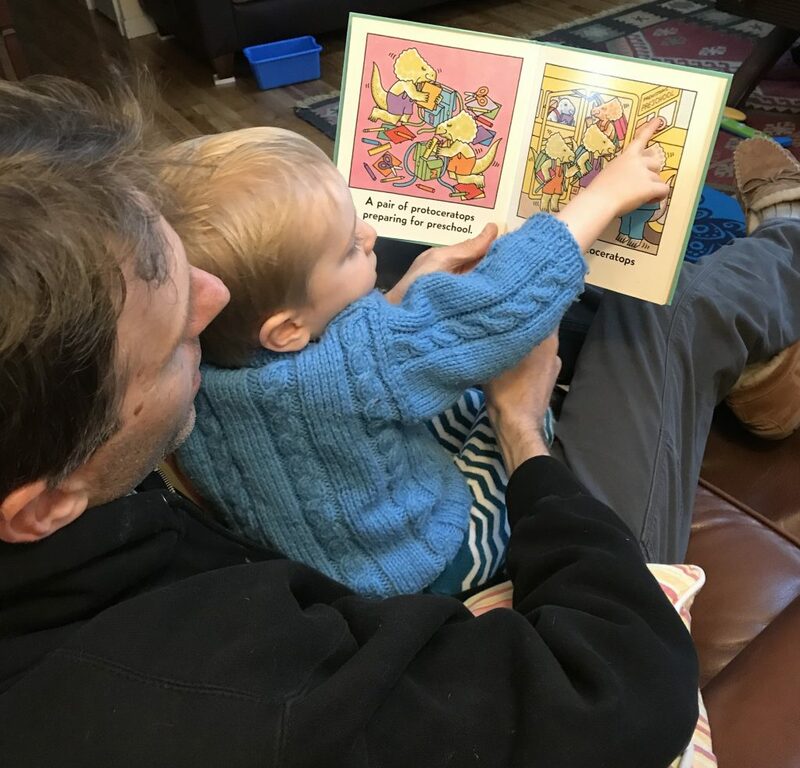 Matt reads with his son, Owen. When not enjoying dinosaurs, Dr. Seuss books are his other favorites. 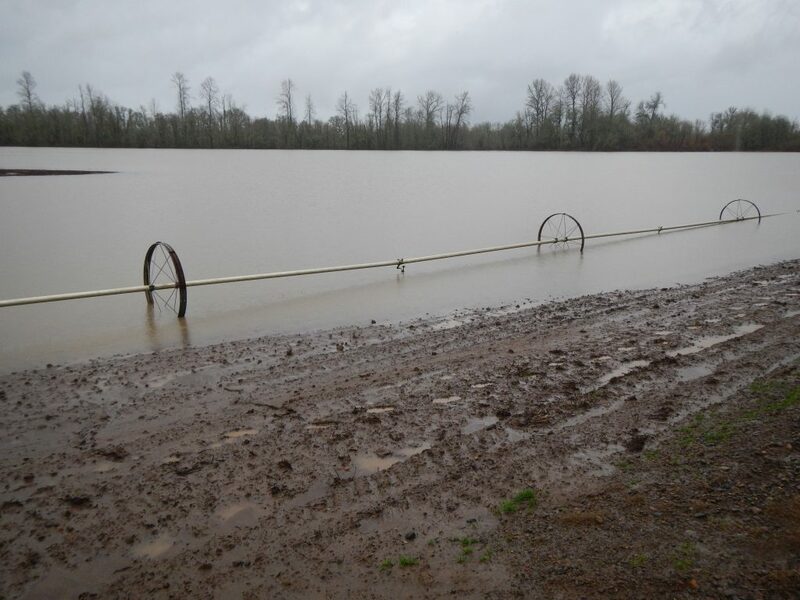 Stormwater breaches the banks of the Willamette River and floods a farm field adjacent to Greenbelt’s Horseshoe Lake conservation area. 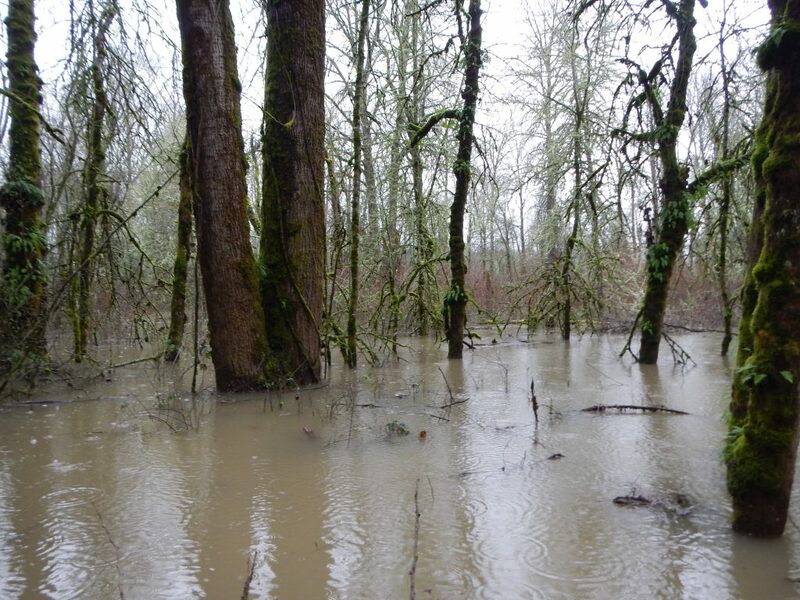 Mature floodplain forests like this one are adapted to periodic flooding and serve as a nursery for juvenile salmon as they fatten-up on their way out to sea.